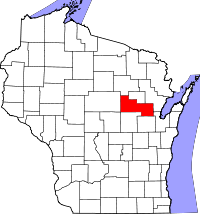 Shawano County vital records date to 1848, five years before it was created in 1853 out of Oconto County: marriages (1848), births (1862), and deaths (1873). Recordkeeping was spotty until the 1907 mandate for statewide registration. Copies of records 1907present can be ordered in person, by fax, or by mail for $20 (including a five-year search) from the Wisconsin Department of Health Office of Vital Records in Madison, and online through VitalChek. Records are also available locally by mail request to the Shawano Register of Deeds (divorces from the Clerk of Court). Pre-1907 historical records are available from the Wisconsin Historical Society, with a statewide microfiche index.